Enclosed auto transport is the preferred shipping method to protect your vehicle during transport. As you might have guessed, vehicles are shipped in covered trailers that guard against weather and road conditions during transport. Your car is protected against the same elements you encounter while driving, such as rain, sun, dust, debris and others. If you are looking for enclosed auto transport service Nationwide United is your go-to company. Get the added safety and protection your vehicle deserves during transport. Whether you require enclosed vehicle transport for your luxury, classic or exotic vehicle have peace of mind knowing your vehicle will be fully protected and in good hands. We truly are America’s enclosed auto transport marketplace. We only operate hard-side covered carriers for all of our enclosed car transports. We secure vehicles using soft straps that surrounds the tires and anchor to hauler. Our enclosed carriers are equipped with lift gates and low-profile ramps. Unlike the 7 car carrier, the “hot-shot” 2-3 car enclosed carrier is non-stack. 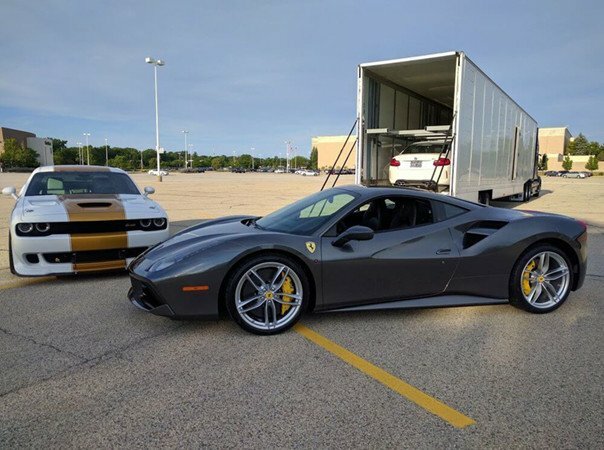 Our team of enclosed carriers specialize in every type of antique, luxury, high end, collector, hot rod and classic car transport. We’ve earned every enclosed auto transport, in large part due to the fact our priority is to deliver autos damage free and in a timely matter. We understand every vehicle owner and their vehicle’s transport needs. Our established fleet of top rated enclosed carriers is the reason why our reputation as a premier enclosed auto shipping company has grown. We hire only the best drivers in the industry accompanied with the best safety records. They understand the importance of protecting every vehicle assigned to them and take all necessary safe handling measures to assure damage free delivery. 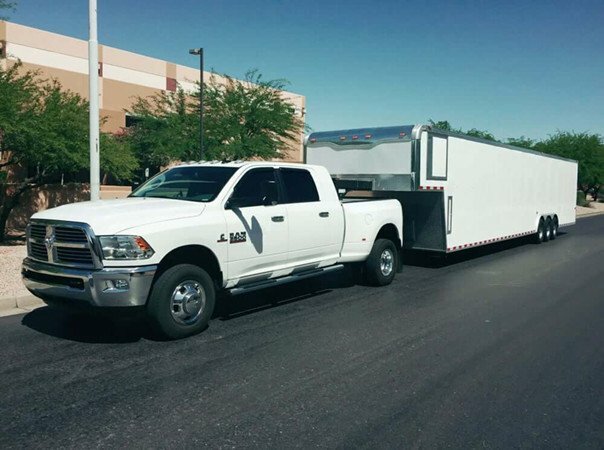 We offer expedited transport for faster pickup and delivery times with our enclosed two-car trailers. Unlike a 6 car enclosed carrier that demands accommodations for 6 different vehicles, our hot shot enclosed carriers transport your car by itself or with one other car allowing us to have to accommodate for only 1 or 2 cars. With our single car enclosed transport you get a dedicated driver that will focus solely on picking up and delivering your auto in less time than it would normally take. In addition to faster transit times, two-car enclosed carriers are “non-stack” trailers. Your auto is loaded and shipped without having to stack it below or on top of other cars. In our case, we only use hard-sided carriers for our enclosed transport service, unless we’re dealing with an oversize vehicle, in which case a soft-sided carrier could possibly be an option. When a company assigns an enclosed truck to pickup your vehicle, you will see one of two trucks. Are fully covered aluminum, tin or fiberglass trailers. There’s three types of hard-side car carriers; A 6 car carrier is normally equipped with a lift-gate mechanism to load and handle low clearance vehicles. This carrier looks very similar to other semi truck trailers on the road. There’s also the 2-3 car and single car carrier often referred to as ‘hot-shot’ trailers. The 2-3 car and single car carriers are equipped with rear ramp doors to load vehicles and most often will also have a winch system to handle inoperable vehicles. Have a steel frame structure with only three solid walls which is the roof, front and back of the trailer. The sides of the carrier are covered by retractable canvas type curtains. In some cases, when dealing with a vehicle that is too wide or too tall, the use of a soft-side enclosed carrier is necessary to accommodate the vehicle’s specs. Open car shipping is the standard method of transporting vehicles in the auto transport industry. Transport large and oversize vehicles from small vans and all the way up to RV’s and commercial buses.